Handmade silver necklace reminiscent of the southwest. 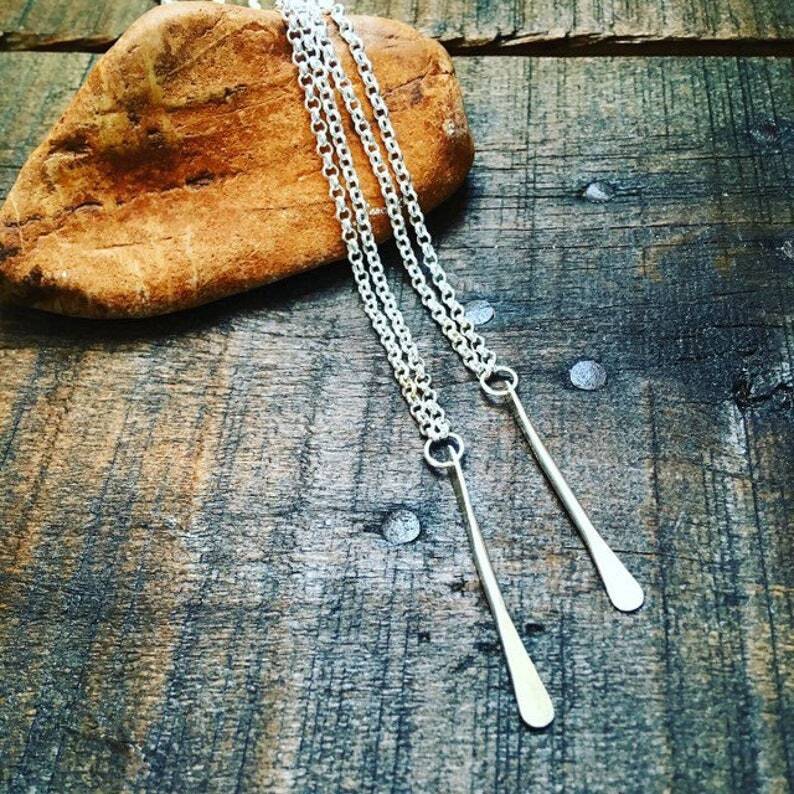 This silver necklace is handmade with a long silver bar, slightly hammered for texture. It comes as a lariat necklace on a sterling silver rolo chain, the perfect necklace for jeans and a sweater or leggings and a tank top! Your silver lariat necklace will come carefully wrapped in a gift bag. Note: This order is for 1 necklace only.